We are starting the second week of BM#66, I will be posting some Pizza varieties. I know I have already so many versions of pizzas on the both my blogs. When I sat down to see what else is missing, I was clueless on why I picked up to make this as its extermly tough to come up with any more vegetarian versions of Pizzas than what I already have. Anyway a quick search gave me some ideas and a microwave mug pizza felt fancy to make. It was also so much fun to have a quick snack for 1 when one wants a quick fix. There are other versions of muggins (muffin in mug or rather with eggs). The tough part of this mug pizza is, when you take it out, its so hot to dig in right away and then when you try eat you dig in so fast that you don’t realize how the dough is. The dough does get cooked properly, however it’s not your typical pizza base. Still I was fancinated on this quick one. Of course, I need to have some paneer on it. So made with half liter quickly for it and roasted in garlic butter for all the extra flavours. I felt Konda enjoyed herself much. Roast the paneer in garlic butter, keep it aside. 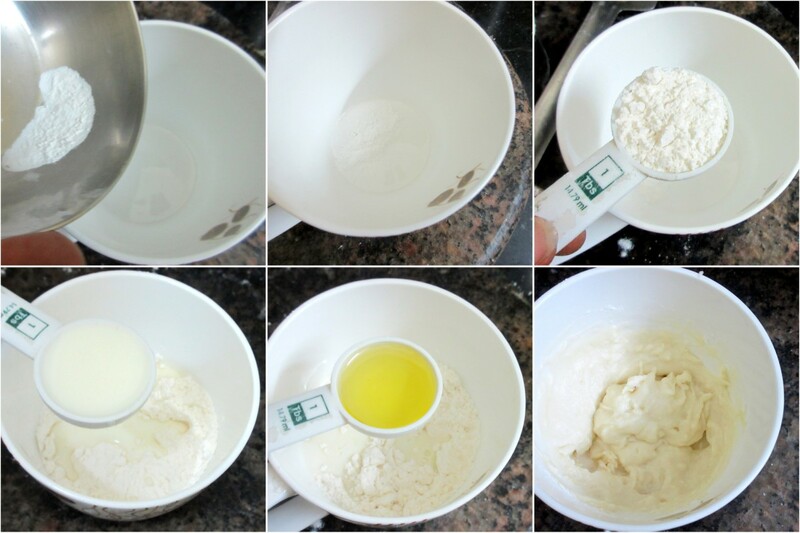 In the Microwave safe mug, take the baking powder, baking soda, flour, salt and fluff well. Then add milk, oil, mix well. Add the pizza sauce over the flour batter, sprinkle the grated cheese over it. Finally place the roasted paneer and sprinkle Italian seasoning over it. Microwave for 1 minute, then continue for another 30 secs. Wait till it cools enough and dig in. Please be cautious as it will be very hot. 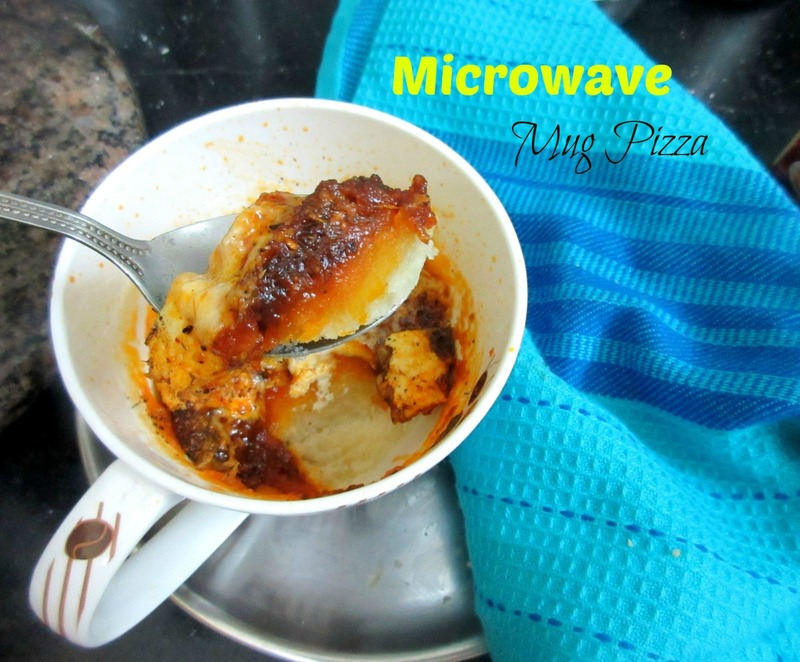 Pizza in mug, you are really awesome Valli. Must try dish, looks yummy. 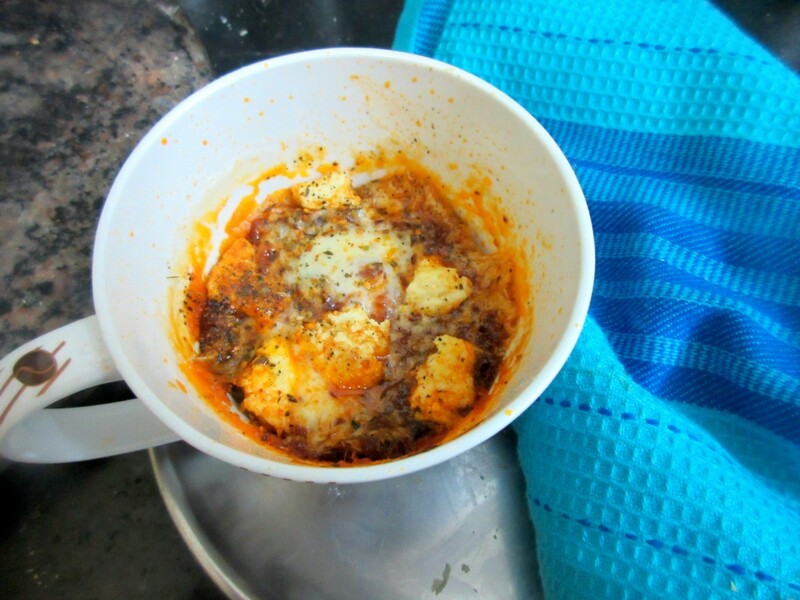 very interesting recipe… pizza in mug..
OMG.. pizza in a mug.. I second sushma.. awesome valli. Bookmarking this. Very interesting, mug pizza rocks. Am sure my kids will definitely go crazy if they see your post. Wow pizza in a mug is so interesting!! 🙂 Great share Valli! 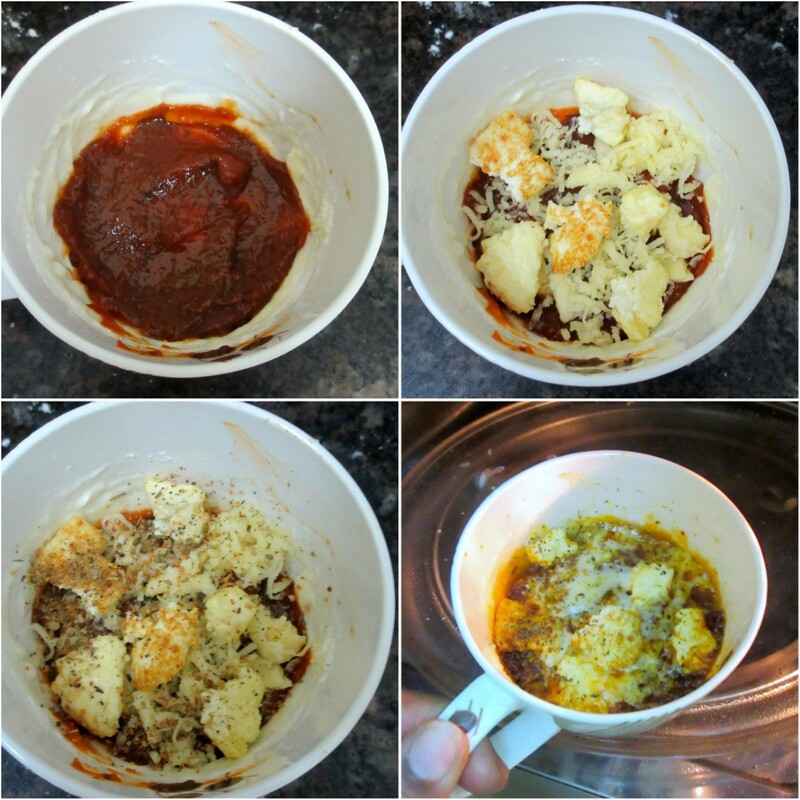 Valli, this is amazing — pizza in a mug is such an awesome idea. Great for those days when kids really really want a pizza pronto.